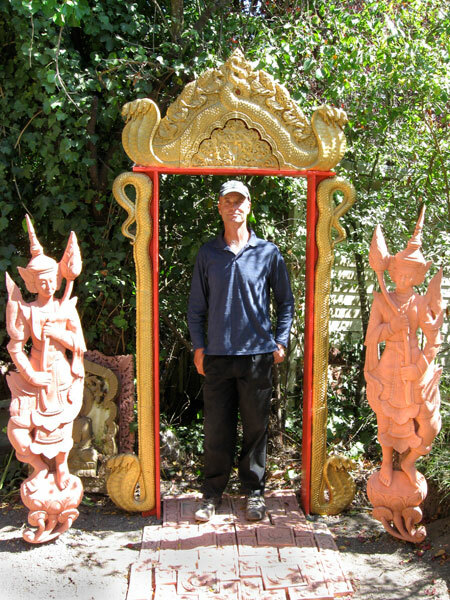 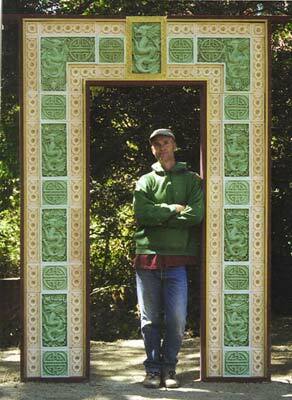 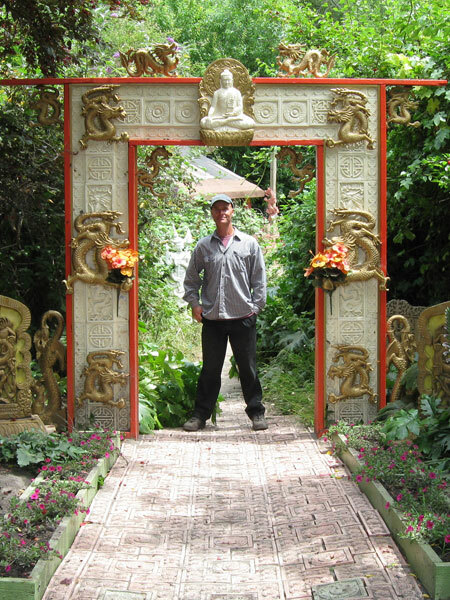 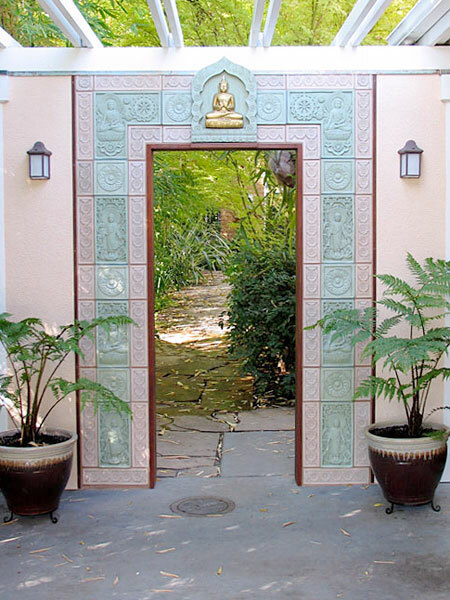 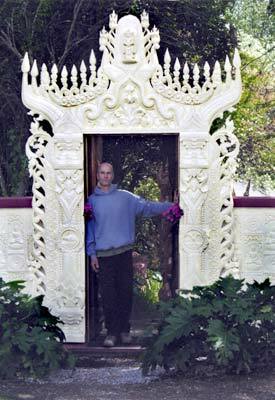 The "Lotus" gateway above is a concrete copy of a 200 year-old wooden gateway from a Burmese monastery in Mandalay. 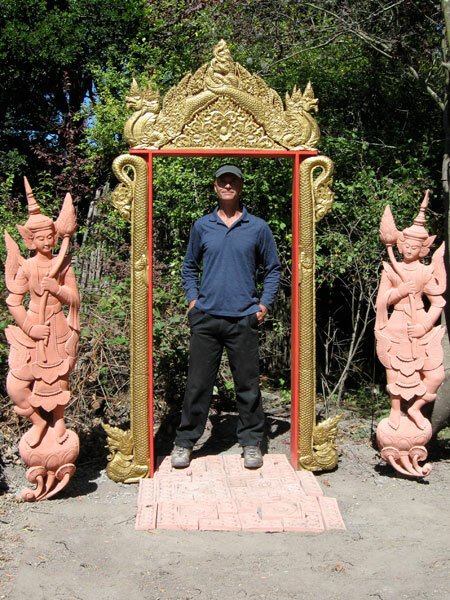 The above photos depict other gateways built with similar construction methods. 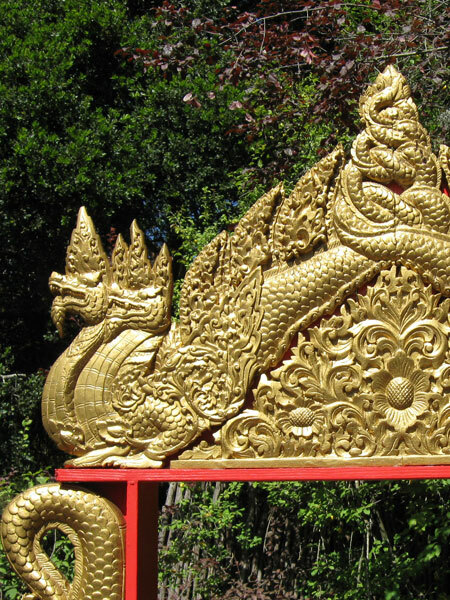 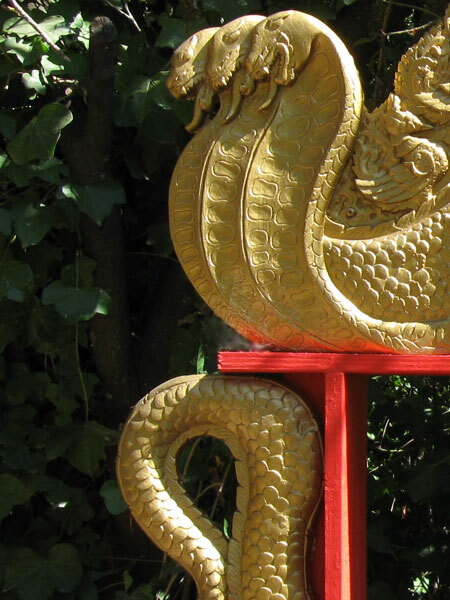 The "Dancing Lady" gateway is above left and the "Dragon" gateway is shown above right. 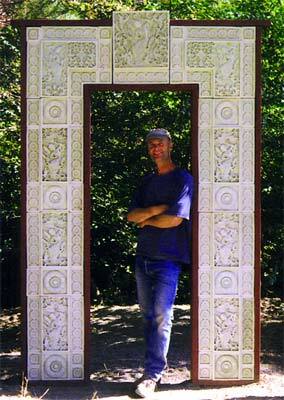 The gateway above to the left is created with pigmented concrete panels (depicted below).